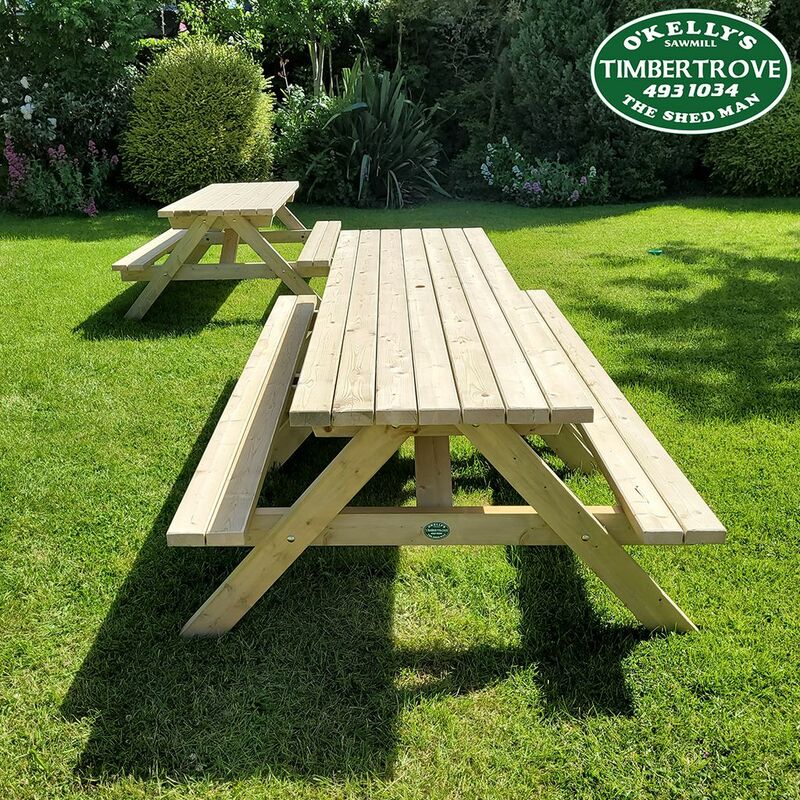 Timbertrove's excellent quality Dineout Picnic Tables have been used in Zoo's, Hotels, Pubs and Gardens around the country. 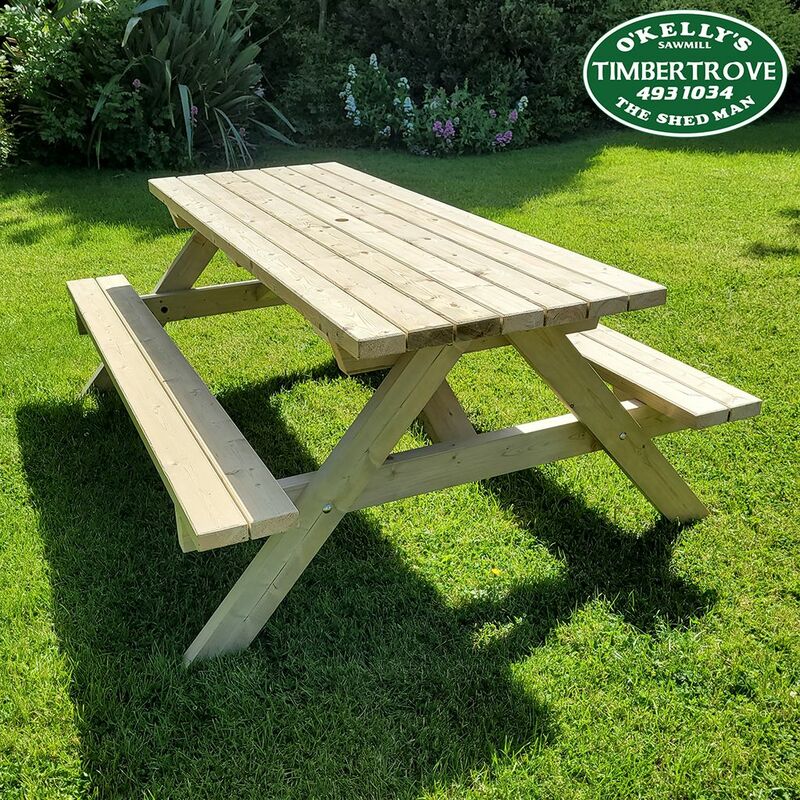 Our heavy duty, very sturdy picnic tables are manufactured in the Dublin Mountains from Scandinavian Pine. 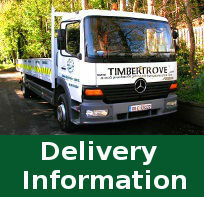 All timber is treated with Protek golden brown wood preservative. 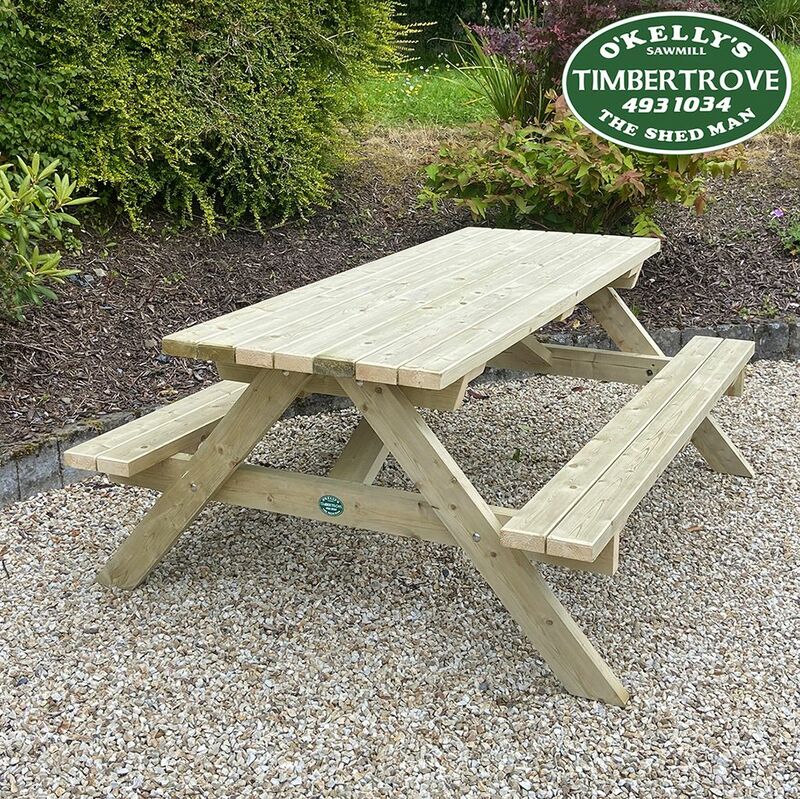 Picnic tables can also be made using pressure treated timber. Available in two sizes, and can be custom made. Picnic Tables are golden brown colour as standard.